But the eSIM has the ability to severely disrupt the current relationship that telcos currently have with us. eSIMs will change almost everything about how we research, buy and use mobile phone company services. This is likely to occur in the next two years - actually it has begun. 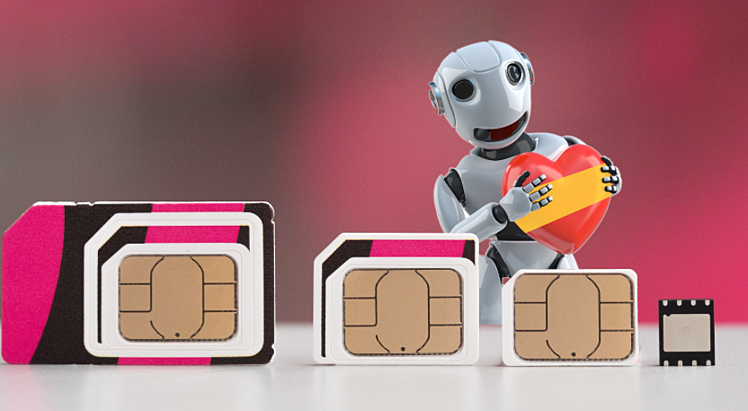 In the new eSIM world, switching from one provider to other will be automated, rather than requiring the removal of one SIM card and switching it out for different providers. Apps, or networks like Project Fi, that function as brokers could monitor and negotiate which network to select based on best performance or price. Okay not in Australia...not yet. But in the US. Google’s newest smartphone, the Pixel 2 is the first mass market device with an eSIM. Google has teamed up the Pixel 2 with Project Fi. As long as you’re a Project Fi subscriber, Google will use the devices’ built-in eSIMs to authenticate your cellular account, and to seamlessly switch you to the fastest network. Project Fi has partnered with Sprint, T-Mobile, and U.S. Cellular, three of the leading carriers in the US. So at the moment, the aim is to switch users to the fastest carrier, but it is only a matter of time before the objective could be to switch to the cheapest carrier.